A woman was sexually assaulted before having cash stolen in a late night attack. 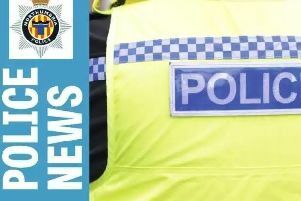 Police are appealing for witnesses following the incident, which happened between 10pm and midnight on Sunday, May 29, in Collingwood Mansions, North Shields. A woman was in the communal area of the block of flats when a man pinned her against the wall and touched her inappropriately over clothing. She managed to push him away. A second man who was also there, threatened her and demanded money. He stole some cash from her wallet and punched her in the face before the men left the scene. Acting Inspector Stu Graham said: “We’re appealing for help from the community to identify those involved in this incident.